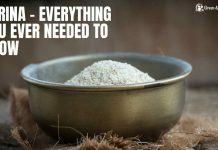 Epsom salt is a miracle substance in my home! I often take hot baths with Epsom salt to help soothe my achy muscles after working out. It’s inexpensive and available at most big box stores and pharmacies. I prefer to use It also helps to moisturise and exfoliate my skin, perfect for when I have to shave! I also love it for my face, yes my face! Add 2 cups of Epsom salt into a medium sized bowl. Add 1 cup of an oil of your choice such as grape seed oil, olive oil or almond oil. I personally use almond oil. Almond oil won’t clog your pores and it’s very nourishing. Add 2 drops of your favorite essential oil. My favorite is lavender and tea tree oil. I like this combination because the tea tree oil helps disinfect the pores, keeping breakouts at bay. The lavender oil not only smells good but lavender oil has antimicrobial and antioxidant characteristics, which is great for the skin. Mix all of the salt and oils thoroughly. Store the facial scrub mixture in a plastic container with a lid. As long as you close the lid tightly after each use it should last 3-4 months. I use mine so often that I make a new one monthly! To use this spa like facial scrub, wet your already washed and clean face with warm water and scoop out one tablespoon of the facial scrub. Massage gently into your face in circular motions. Rinse with cool water and then pat your face dry. 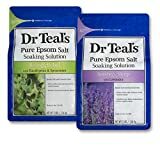 You can normally buy Epsom Salts at your grocery store or very easily online at places like Amazon. I have added a few options for you to try out below. Hint: Use a handful of the Epsom salt scrub for your entire body or for your legs before you shave. You’ll love how your skin looks, feels and smells.